We "Oswal Weldmesh Pvt. 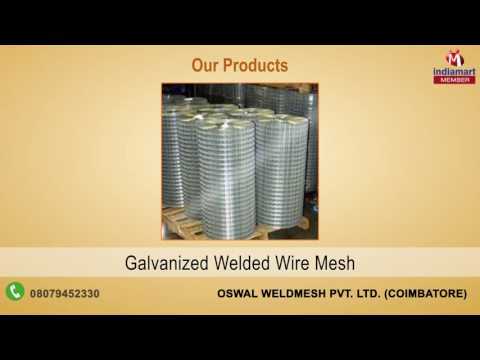 Ltd." were established in the year 1987, as a leading manufacturer and wholesaler of a broad range of PVC Coated Welded Mesh, MS Welded Mesh, Galvanised Wire Mesh, Hexagonal Wire Mesh for our customers. The major strength of our company is our reputed vendors, employees, and customers enabling us to reach the peak of success. Constant innovation along with high quality standards assists us to meet the market needs and demands with value added products.